Hello there, I am back to share my next card using the background I made during the Background Check class. Today I am using the background that I made on day two. I started off with a piece of PTI Soft Stone cardstock. 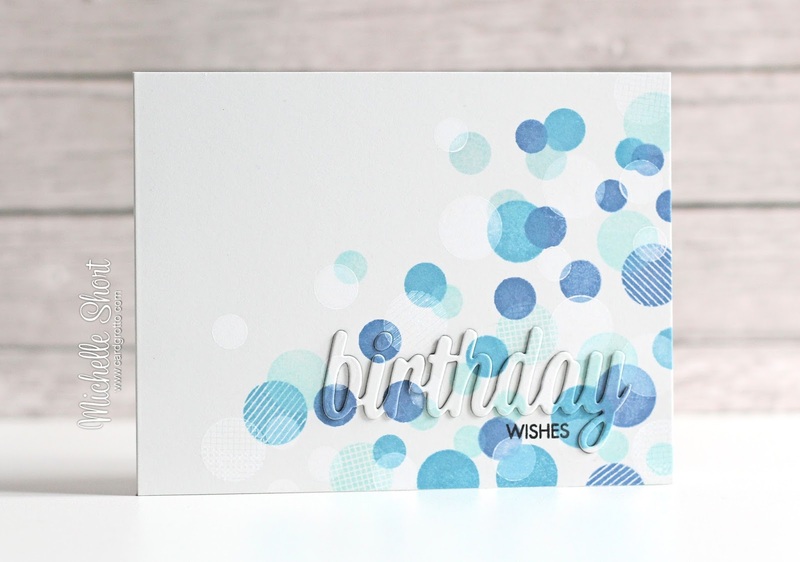 I then repeatedly stamped the dot/circle images from the MFT Bokeh Builder stamp set on to it using Hero Arts Shadow inks. I used Soft Pool, Pool and Stone Wash. I then added another layer of dots using Hero Arts Unicorn White Pigment ink. 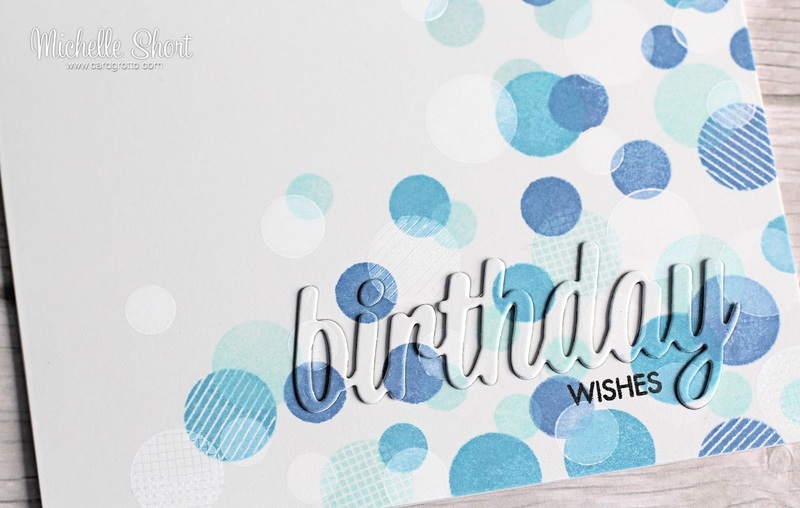 Once the panel was dry I die cut the 'birthday' sentiment from the MFT Happy Birthday Die-Namics set from it. The 'wishes' part of the sentiment (from the Hero Arts Classic Messages set) was stamped below using black ink. The panel was then adhered to a Soft Stone A2 card base. I die cut another two of the 'birthday' sentiment and layered these together, adding the one I cut from the panel on top. These were then inlaid into the panel/card. I really like how this card came out and decided to give to my brother for his birthday, yesterday. I will be sharing the other cards made using the background pieces from Background Check next week. Thank you so much for visiting me today, I really do appreciate you stopping by. Have a great weekend! Superb masculine card, I love it! Love this card, an excellent masculine card, lovely bokeh effect, superb! I know you also use SSS cardstock, what do you think of them? I've never ordered cardstock from them in case they get damaged on the way, did this ever happen to you? Tempted to get some. Thanks. 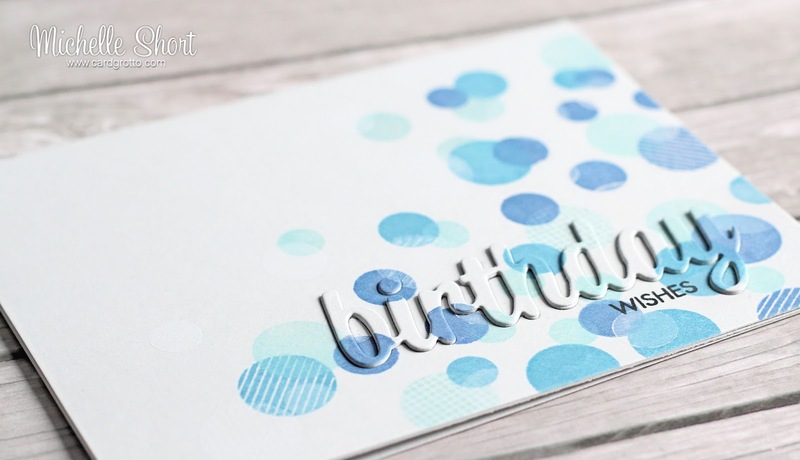 Sweet birthday card...just beautiful with all the pretty blue.